The Ketogenic diet (also known as “keto”) is becoming increasingly popular as a weight loss method. However, there are several things you should know before starting keto. First, it’s not just about weight loss! Don’t get me wrong – weight loss is great, but that is far from the only reason to try a Ketogenic diet. And second, there are several things you should know about keto before you jump in. So, in this post, I’ll explain what is a ketogenic diet, why so many people are following it, and I’ll also detail 5 things you’ll want to watch out for before starting it. Nearly a century ago, the ketogenic diet came to the forefront as an effective way to treat children who suffered from epilepsy. Unfortunately, keto faded into the background as the pharmaceutical industry began to develop anti-seizure medication. However, with the increase in popularity of low carb and Atkins diet plans, keto has found its way to the forefront again. But this time, keto’s popularity is primarily as a weight loss tool. What Do You Eat on Keto? In general, a keto diet is high in fats, moderate in protein, and very low in carbohydrates. However, as with any diet, there are healthy and unhealthy ways to do it. I’m a huge believer that eating more nutrient-dense whole foods is a better way to approach keto. Eating this way helps your body to enter a metabolic state called nutritional ketosis. When you’re in nutritional ketosis, you tend to burn more fat (in the form of ketones) rather than sugar (in the form of glucose) for energy. Why Are So Many People Jumping Onto a Keto Diet? One of the big draws of a ketogenic diet is its effectiveness at helping people lose weight. The carbohydrates that you eat, including starchy vegetables and fruits, will generally increase your blood sugar levels. When that happens, we’ll often enjoy a “sugar rush.” However, these bursts of energy don’t last very long and are usually followed by a sugar crash when you feel tired, moody, and hungry. Then, we eat more carbohydrates in order to have another boost of energy, and the cycle repeats itself. When you follow a keto diet, you won’t suffer blood sugar spikes and crashes due to the decreased carb intake as well as the increased fat intake. Carbohydrates can often make you hungry. Sure, pasta or bread might make you full immediately after you eat them, but you’ll likely be hungry again in an hour or two. This is not the case when you’re eating a keto diet. As various studies have shown, a diet high in fats and proteins and low in carbs can suppress your appetite. It’s annoying to endure mood swings for yourself and your family. But one of the additional benefits of a keto diet is that it can help improve your mood and depression. Anecdotally, people have reported feeling less depressed and less anxious. And studies are suggesting that ketosis could act as a mood stabilizer for those with bipolar illness. This may seem counterintuitive since carbohydrates raise energy levels. But because your blood sugar stabilizes, most people find that their energy levels also stabilize. You won’t suffer that mid-morning or mid-afternoon crash in energy. And you’ll feel awake and motivated throughout the day. If you do a lot of physical exercise though, then you should be aware that a ketogenic diet can take time to adjust to and you may get tired more easily when you’re working out (although there’s definitely debate about this still). As I mentioned above, keto has been used as an effective way to treat epilepsy for decades. More recently, however, it has been suggested that keto can be a powerful tool to help prevent cancer and neurodegenerative diseases, such as Alzheimer’s and Parkinson’s diseases. More research is currently being done on this important aspect of keto. ‘Injury’ could mean anything from spraining your ankle to getting a bacterial infection. And when any type of ‘injury’ happens, your body’s immune system responds with inflammation. While some inflammation can be a “good” thing (e.g., the swelling when you sprain your ankle), inflammation becomes a problem when it’s ongoing – usually called systemic or chronic inflammation. This happens when your body is inflamed for an extended period of time – weeks, months, or even years. What’s crucial to realize is that the inflammation is a response to an injury and it’s important to get that injury fixed. Some of the major causes of ongoing injury and chronic inflammation are poor food choices, leaky gut, and hormonal imbalances. And these ‘injuries’ are every bit as real as a broken arm or scraped knee. Eating a keto diet – particularly one focused on whole foods – is an important step toward allowing your body to heal these problems without further exacerbating them. In particular, a whole-foods based keto diet can be a great first step toward healing a leaky gut and bringing hormones back into balance (particularly food-driven hormones like insulin, leptin, and ghrelin, but also cortisol and other hormones). An autoimmune condition (e.g., multiple sclerosis, rheumatoid arthritis) is one where your body’s immune system can’t tell the difference between its own cells and foreign invaders. While a ketogenic diet can help alleviate symptoms of autoimmune conditions, it’s often better for your body if you concentrate first on healing that autoimmune condition. That way, when you do try keto, you’ll see much faster results. Obviously, if you are sensitive to certain foods (for example, eggs), you should still avoid those foods even if they are allowed on a ketogenic diet. If you are unsure if you have any, you should consider being tested for food sensitivities or try an elimination diet. Are You Taking Certain Medications or Breastfeeding? As with any lifestyle change, it’s always good to discuss with your medical professional in addition to doing your own research. This article is designed simply to provide you with information to help you ask the right questions. While no specific side effects of a ketogenic diet have been found, it’s especially good to be aware if you’re taking medications (like insulin) that lowers your blood sugar or if you’re breast feeding. While the food you eat is of critical importance to your health, reducing stress is equally important. So, just because you want to embark on a new diet shouldn’t mean you neglect the rest of your life. There are plenty of ways to reduce stress, including yoga, meditation, walking in nature, aromatherapy, reading, and so on. It’s important to remember that a ketogenic diet, like any diet, isn’t magic. If you’re going to try it, go in wanting to eat better rather than finding a quick fix. One of the most helpful parts of this diet is that it can help you get rid of your dependence on sugar, but this can be tough initially. So, don’t give up after just a week! If you’re interested in giving keto a try, then start during a week when you’re not too stressed or busy. That way you can focus on keto rather than falling back into old eating habits. A great first step is to get inspired by recipes and meal plans. This is a resource for doing just that! Then, stock up your fridge and clean out your pantry. And start educating yourself more on this diet. That way, you’ll not only eat a more optimal keto diet but also learn about how what you eat affects your body, mind, and health. For more information on how to start a ketogenic diet, please check out my detailed post about it here. 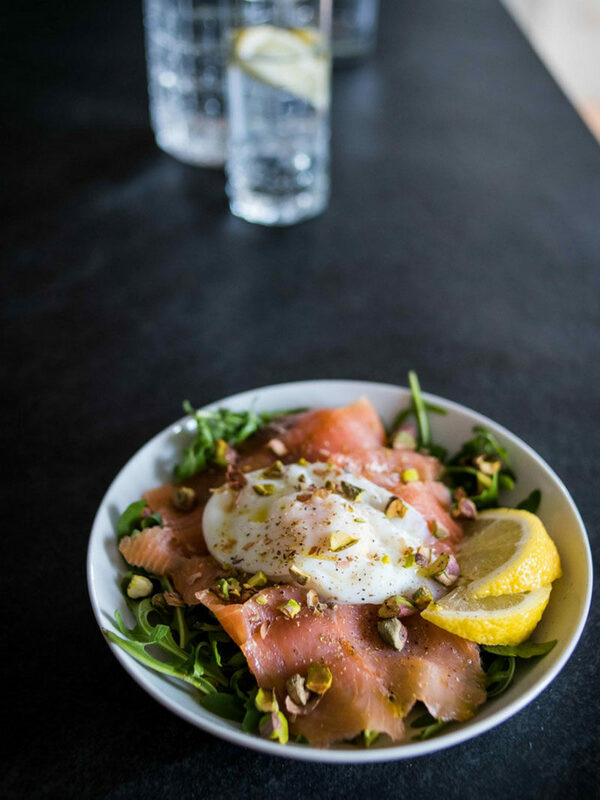 This guest post is by Louise Hendon, co-host of The Keto Summit and author of The Essential Keto Cookbook. Interesting. I don’t follow fad/trendy and labeled diets. I just live “freely” with my food allergies. That’s a great way to go. 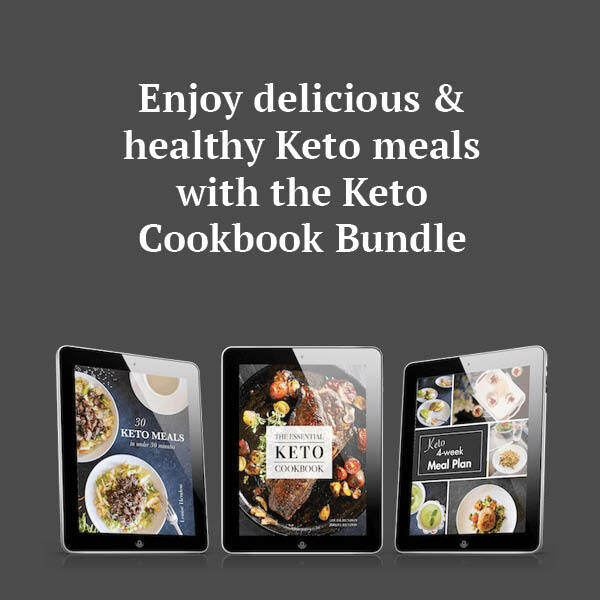 But for some, when getting down to the science of things, Keto has been proven to help those suffering from seizure disorders and more. Thankfully nutrigenomics is gaining momentum and customizing food intake to your body’s genetic make-up is the future of food. We live in fascinating times! This was such a comprehensive post on the keto diet. I have the book The Real Meal Revolution, which is how I first learnt about this type of eating (they call it Banting, which may be something else – but it’s high fat low card and has a very specific list of go to veggies. I have been intrigued by this diet after I did whole30 and a how adding more fat kept me full longer. Thanks for sharing this. I know a ton of people on the keto diet right now. Not something I could do (being vegan) but I do love its focus on clean foods, greens and healthy fats. I think the biggest thing is not to do it for a diet, but because it’s what works for your body since we are all made so differently. What an interesting read. I know some people who might benefit from it. I’ll share it with them. I had never even heard of it. Thanks for the info! Sounds healthy! The keto trend scares me a bit, as I tried it years ago, but my kidney numbers went up. It was directly related to the diet and had never happened before, nor since. Have you read anything on how to prevent it from taxing kidneys? Alisa, thank you for sharing your experience. The more I dive into the different ways to approach different health challenges, the more I realize it requires an individual and customized approach. One person’s food is another’s poison. I always recommend seeking out a qualified, knowledgeable and integrative-minded dietician or nutritionist to monitor your progress. Just a few weeks back I began a seemingly harmless detox and I crashed. After 5 days I felt awful. I had just started a new, higher-intensity exercise routine, was going through some added stress. I did not put two and two together that I had created the perfect storm for my homozygous MTHFR mutation. However my nutritionist did. So as with any diet aimed at weight loss or managing symptoms, a good coach/nutritionist/doctor is so critical. You gave great answers to the frequently asked questions. It’s nice to have heads up before starting on a keto diet. Thank you for the great contents, it is clear and very appealing.